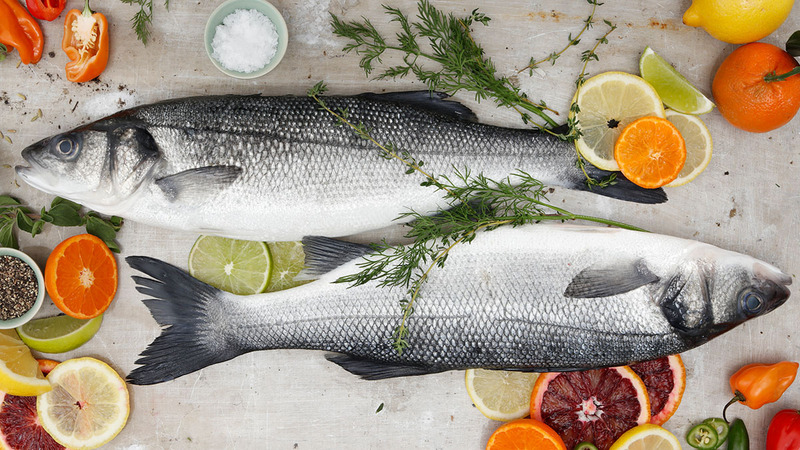 This grilling recipe brings out the natural taste of the authentic Spanish sea bass. 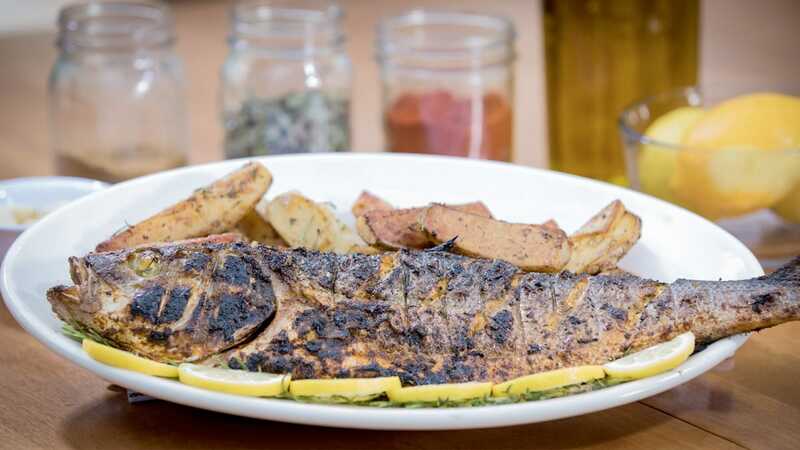 Charmoula is an all-purpose Moroccan spice paste terrific for flavoring a whole grilled fish. Using a food processor, chop garlic. Scrape down sides, then add lemon juice, paprika and cumin. Pulse a few times to combine. Add herbs and pulse a few more times to make a coarse puree. Scrape the sides, turn the processor on and add oil in a steady stream. Trim tails with scissors (they’ll burn on the grill). Make several shallow cuts through the skin on both sides of the fish. Put fish in a large glass baking dish and slather liberally with charmoula. Pack the rest of the charmoula into the cavities. Let the fish marinate in the fridge for at least 5 hours and up to 8 hours. Prepare your grill by getting the coals hot, then set the grate about 4” above and allow it to heat. Brush the fish basket with oil and place fish inside. Grill for 5 min, then turn and grill for another 5 min. Insert a thin knife or a metal skewer into the thickest part of the fish and leave it for 30 seconds. When removed, the tip should feel warm on the inside of your wrist. If not, grill for another minute. Let fish rest for 10 min before filleting and serving. A fish basket is the best friend you can have when grilling a whole fish, because it keeps the fish intact while flipping. Plus, it makes the task of getting a delicate cooked fish off the grill and onto a platter much easier. To transfer your fish to a platter, take the top off the basket and put your platter over the fish. Then flip the basket and platter like you’re turning a cake out of a pan.